Well the Zucchinis are flourishing at the moment, or as we know them Courgettes. When we first moved here I spent 10 minutes at a check out trying to buy a bag of "courgettes". As I had had to identify every bag of veg I wanted, cause the girl at the till did not know what any of it was. Capsicums I knew (we call them peppers), but then there was the "Courgettes"- she spent ages searching the computer for them, before eventually asking a supervisor... well I didn't know that's what they were called on Australia; I had been in the country less than a week! I had just learned that thongs were worn on your feet, after watching a very disturbing advert for "50% off kids thongs"- Anyway another language lesson learned. 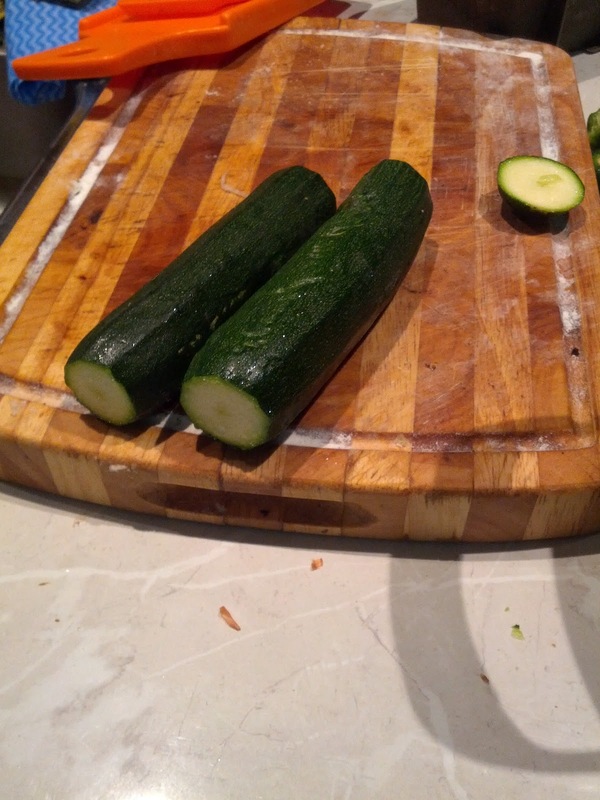 But if you are thinking about starting a veg garden and want an easy and fruitful- especially starting out, if you have the room I would recommend a few zucchini plants. They need a little room as they are part of the pumpkin family- though not quite a vine; I have 4 in the end of one of one of my boxes- an area approx 2 x 2 meters. They grow well in humid climates and full sun, just need steady supply of water. I bought these ones as seedlings (I bought 3 or 4 last year too) you can pick up a set of 4 seedlings from most nurseries/ hardware stores etc. for under $5. They establish quickly (I’ve had these probably 6 weeks) and I am picking 2-3 zucchinis off each plant a week. I have just sown a few seeds for a different variety- I haven't grown any from seed before, so will let you know how that goes. As for the established plants, I leave picking mine til the flower wilts, but you can eat the young vegetable aswell as the flowers. 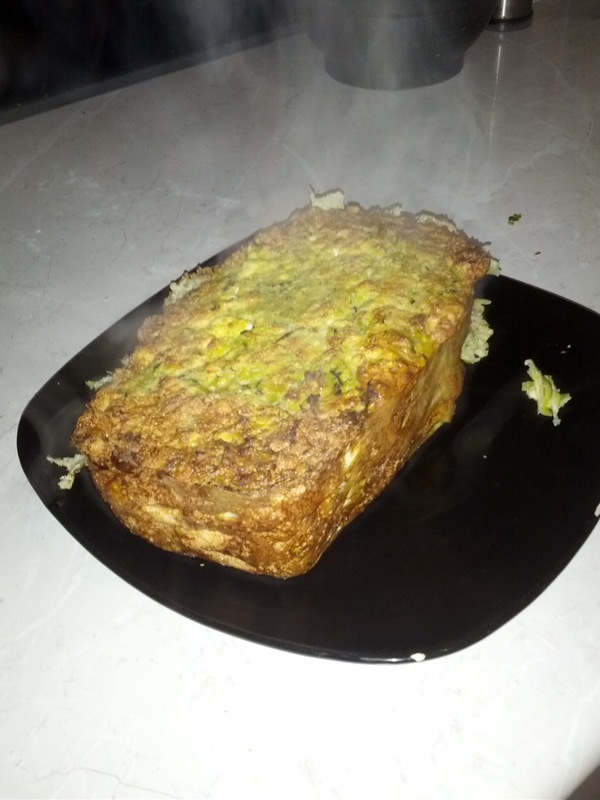 Pre-heat oven to 190°, spray loaf tin (about 250mm x 150m)- or line with baking paper if likely to stick. 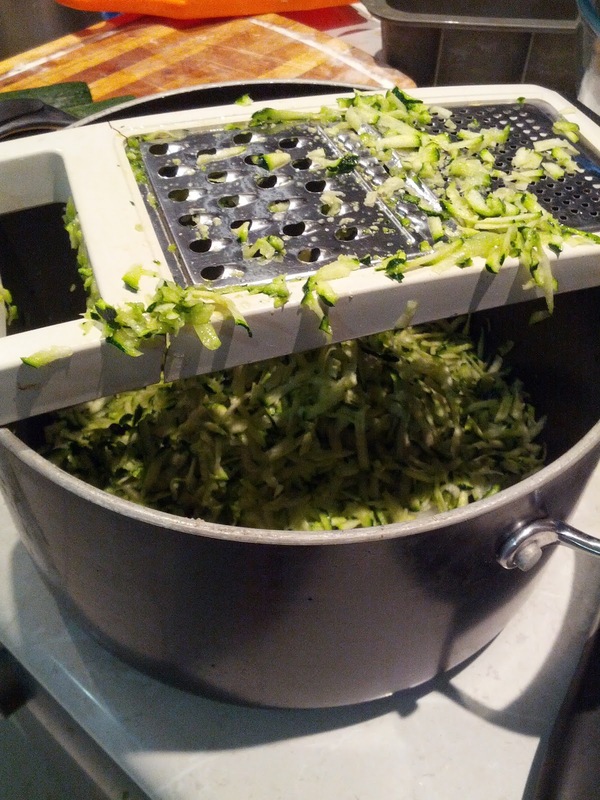 Using clean cloth squeeze as much of the liquid out of the grated zucchini as possible, then fry off in pan with the spring onions- 2-3 minutes, then remove from heat. In a bowl beat the whole eggs and add flour, nutmeg and parsley (and pepper if using), then crumble in the cheeses and combine. Add in and fold through the onions and zucchini. In another bowl whip egg whites and salt to stiff peaks, then fold though the original mixture. Transfer to the oven dish and bake in pre-heated oven for 50-55 minutes, or golden. Set aside to cool (about 10 minutes) slice and can be served warm or cold.